You've heard a lot about platinum ETFs, but you need to really understand how they work before adding them to your portfolio. Don't worry, I'm here to help. I've compiled the most frequently asked questions about commodity funds as well as a list of the available ETFs and ETNs on the current market. 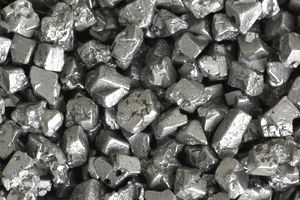 Platinum is mined and produced in various parts of the world, but about 80% of that action comes from South Africa. How Can I Invest in Platinum? There are a few ways to give your portfolio exposure to platinum. You can play the platinum futures market, you can consider a platinum or precious metals index, but one of the simplest ways to gain access to the metal is to invest in a platinum ETF. What Is a Platinum ETF? Platinum ETFs are mini-portfolios designed to emulate the price of platinum. They utilize assets such as futures or derivatives to obtain the goal, or in some cases include equities related to the platinum industry. There are inverse ETFs for platinum and ETNs as well. Here is a list of platinum ETFs and ETNs for your research. And while there are some options, there are not a lot, but as time marches forward this list may continue to grow. But wait, there’s more! For those who are interested in other precious metals, I have a list of precious metal ETFs for you. But as an added bonus here are a few of the more obscure precious metal ETFs like palladium and nickel. So if platinum is where you want to be (investment wise), then research some of these ETFs and see if they are a fit for your portfolio. However, be sure to check back often as I will update this list as needed. If new funds are approved I will add them to this list, or if any stop trading, I will remove them from this list. And while some of these funds may be attractive, be sure to conduct thorough research before making any trades. Check the history of the ETF, understand the risks, watch the fund in action and see how it reacts to different market conditions. Also, take a look at what is in the funds as many ETFs may contain derivatives such as futures and options. And if you have any questions or concerns, be sure to consult a financial professional, such as a broker or advisor. However, once you are comfortable with these funds, then it’s only matter of calling your broker (unless you trade online). And once you do make your choice, then good luck with all of your trades.